During the golden era of rock and roll, there was a muse who captivated two of the most eminent music icons in history. One of them sang to her “Something in the way she moves/Attracts me like no other lover,” while the other sang, “Layla, you’ve got me on my knees/Layla, I’m begging darling please,” longing for her love. How does one choose between George Harrison, the unforgettable Beatle, and Eric Clapton, the fierce guitar legend? Well, Pattie Boyd was the woman who was forced to make up her mind between these two. Patricia Anne “Pattie” Boyd was born on March 17, 1944, in Somerset, England. During the 1960s, her family moved to London, and she soon began a modeling career. First, Boyd worked as a shampoo girl in Elizabeth Arden’s salon, but when a client from the fashion industry spotted her beauty, she was launched into the world of modeling. She worked in London, New York, and Paris, side by side with the world’s top models. Boyd appeared in the UK and Italian editions of Vogue magazine, as well as in several commercials. Her turning point came in 1964 when she was cast in a very small part in the Beatles’ film A Hard Day’s Night, where she met George Harrison. Pattie was immediately attracted to him, and she explains that he was incredibly good-looking but rather shy. Several days later, she broke up with Swayne and went out with Harrison. On Jan. 21, 1966, Boyd and Harrison sealed their intense romance with a wedding, with Paul McCartney as their best man. Harrison’s young love for Boyd inspired him to write “Something,” one of the Beatles’ best songs. However, a few years later, their marriage began to disintegrate, due to alcohol and drug overuse as well as numerous affairs. 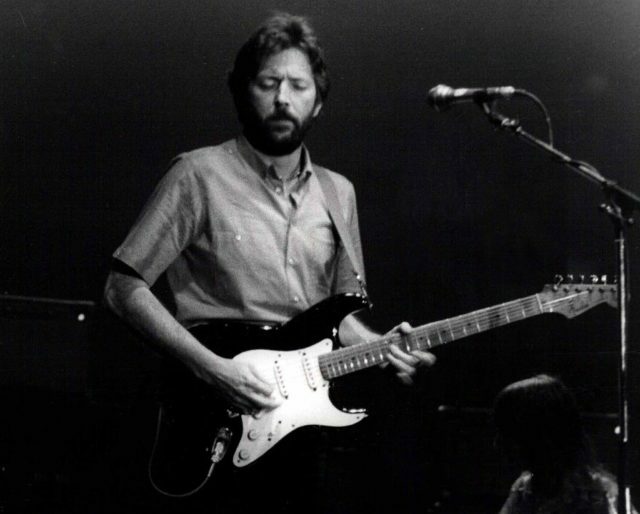 During this period, Harrison became a close friend of Eric Clapton, writing music and performing with him. One day, Boyd received a letter in which someone, who signed just as “E,” declared his love for her. Boyd assumed that she just had a secret admirer, until one evening at a party in Clapton’s manager’s house, when Eric, whom she thought of as a friend, showed up and asked her if she had received his letter. Before she made the decision to leave Harrison, Boyd had refused Clapton’s advances, and the fragile musician descended into heroin addiction and deep depression. In 1979, though, Boyd decided to move in with Clapton and married him. Тhe period of love’s delusion and sweet delight was soon over, though, when the couple faced marriage struggles. In 2007, Boyd published her autobiography Wonderful Tonight: George Harrison, Eric Clapton and Me. After the intensity and turmoil of Boyd’s relationship with both Clapton and Harrison, she had decided to stay with neither of them, marrying for the third time in 2015 a property developer named Rod Weston she’d known for a long time. “It’s almost our silver anniversary, so we thought we had better get on with it,” her husband declared jokingly.